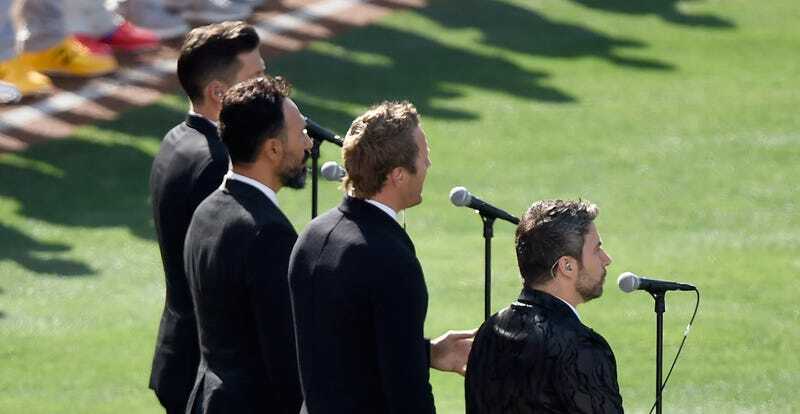 The biggest story to come out of last night’s MLB All-Star Game had nothing to do with the game at all, but with a pregame performance of “O Canada.” Remigio Pereira, member of the Canadian singing group The Tenors, replaced some of the lyrics in the anthem with “all lives matter,” a favored political rallying cry of bigots and disingenuous cretins. The other members of The Tenors later apologized and labeled Pereira a “lone wolf,” and based on their in-the-moment reactions to his ad-libbing, it’s hard not to believe them. This is a person who probably means well but is unfortunately very stupid.